People who have known me long enough (and maybe even those who don’t) can attest to this one fact: I am in love with the water. Before ballet, hiphop, running, or any other physical activity, I first learned to swim. It was a good thing I was born to parents who are good swimmers, and another good thing that my dad’s province, Aklan, is home to one of the finest beaches in the country. Pools are well and good–I would jump in one every chance I get–but the beach is a different story. Being blessed with going to beautiful Boracay during most summers in childhood gets to you. At a young age I came to love the sea, and bear with the intense sunburn that came with that love. I grew up, but my love for beaches never went away. Summer became my favorite season not only because there weren’t classes, but more so because there would always be a scheduled beach trip no matter what. I was lucky enough to visit other nice beaches too; so far I can recall Galera, Bataan, Subic, Zambales, Batangas, Bolinao, Alaminos and Lucena being on that list. But there was one thing in common about those visits: aside from the occasional banana boat, skimboard session, and island-hopping tour, I went to the beach mainly just to laze around and swim. 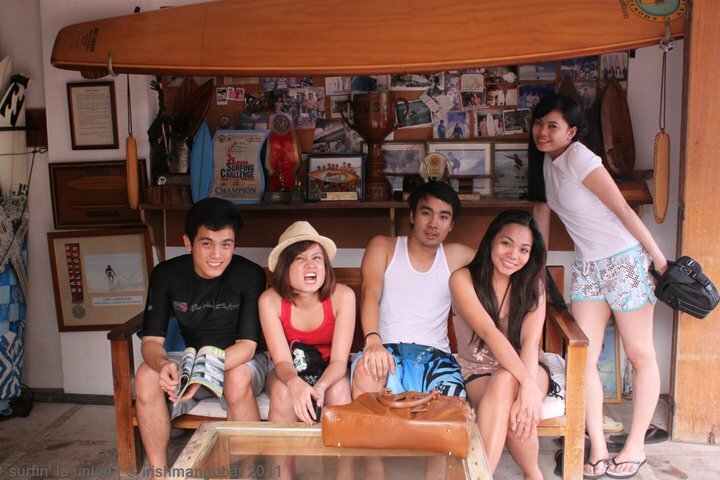 Fast-forward to December 2010, when my friend and fellow beach bum JR asked if I wanted to go to La Union with friends, on a surf trip. He had invited me earlier that year, but I wasn’t able to go because of my previous job’s hectic hours. So that second time around, with Christmas break just around the corner, I knew it was the perfect opportunity to surf. There was just one minor problem: I didn’t know how, and they did. I thought about how I was going to make a total fool of myself, how I would just wipeout immensely, and how prettier I would look come Christmastime if I didn’t have cuts, bruises and a major sunburn. But my love for the beach prevailed, and so I threw all my apprehensions away and went to the Billabong Surf School in La Union, to learn how to surf. An hour into my first lesson my instructor asked if I was still fine, and I declared that I was way,way more than fine. I was on a high–I had found a sport perfect for a beach bum like me. Why I didn’t think of trying surfing earlier even became a passing thought. NEEDLESS TO SAY, MY FIRST SURFING EXPERIENCE WAS AWESOME. So awesome, in fact, that after that trip I encouraged my other friends to try, and so we went on another surf trip shortly after that. 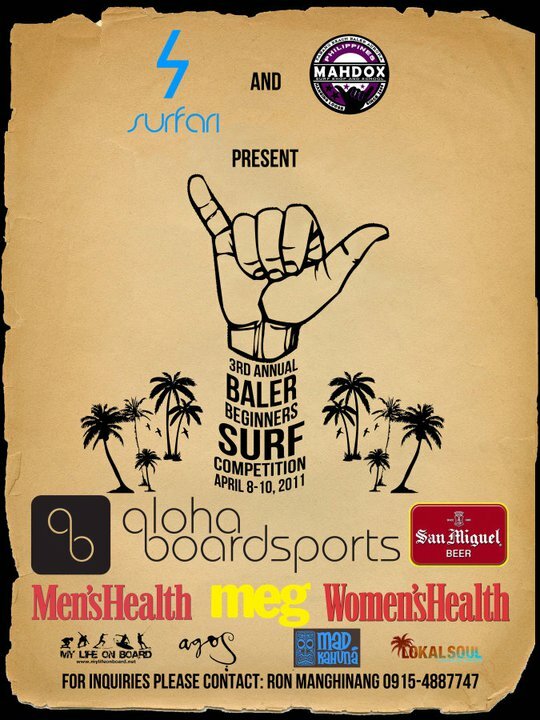 So awesome, that barely four months into surfing, I along with my beach buds joined a surfing competition. I am still a newbie, and I dare not get into the business of imparting tips and techniques that I myself still cannot execute with ease, but please allow me to say this: anyone can learn how to surf, and everyone should try it at least once in their lives. It’s a sport, but it’s so much more. For someone who loves the beach as much as I do, surfing makes you feel like you’re a step closer to the ocean, to nature. It’s less about looking cool and getting one heck of a ripped body (which are still pluses in my book 😀 ) but more about taking your love for the sun and the surf on another level. 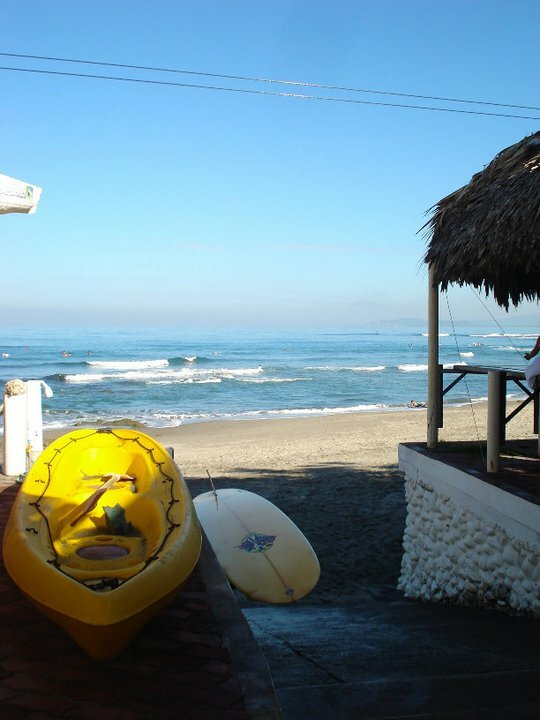 To those who might be interested to try the wonderful water sport that is surfing, I’ve so far only been to two surf spots, but I highly recommend the Billabong Surf School in San Juan, La Union. It’s the only Billabong-accredited surf school in the country, so rest assured that you’ll be learning from fully equipped trainers. They also use soft longboards (foamboards) for those who are trying surfing for the first time,which I find easier to paddle with and stand on than your ordinary heavy longboard (beginners are encouraged to use longboards first as they are easier to balance on than shortboards 🙂 ). If you want to head over to Baler, they also have some good instructors over at Mahdox Surf Shop. What I love about Baler is the long strip of beach, so overcrowding and hitting other surfers is less of a worry compared to San Juan. The ride to both beaches usually take 6 hours from EDSA Cubao, but as previously mentioned, the road to Baler is bumpy so don’t expect to catch some snooze that much. 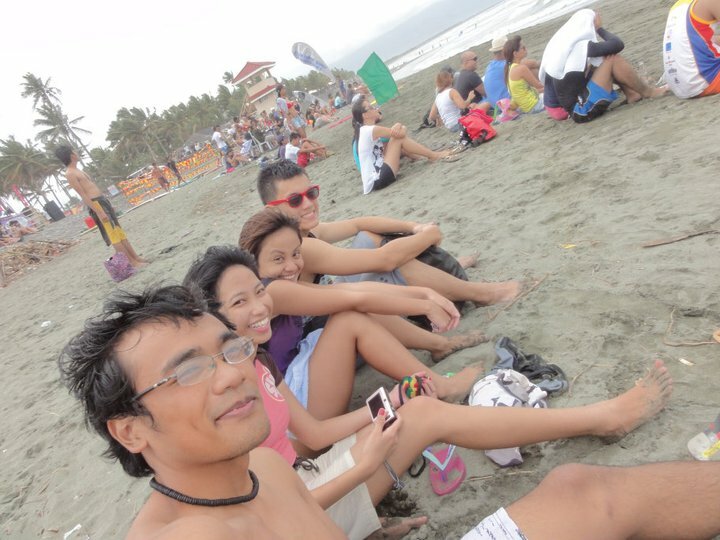 Board rentals cost 200 per hour in LU, and 250 per hour in Baler. In the Billabong Surf School board rentals also come with a rashguard, a sort of wet-suit looking top that protects you from the harsh hits of the waves on your body (and unwanted bikini blunders 😀 ). I recommend you bring your own rashguard though, because sizes are big and you want your rashguard to fit you snugly. Surf lessons are 400 per hour for both, surfboard included. might be of interest to you to scout jobs on the beachfront so you can enjoy and career-path as well, what do you think? let’s go next long weekend. when are we tagaytay-ing?